Stress is a huge cause of failure in our nutrition and exercise plans. It’s so much easier to grab something sweet or a cup of coffee to make ourselves feel better when we’re frustrated or tired at work or home. What if we could harness that stress and exhaustion to work for us and help us reach our goals instead of letting it self-destruct us? 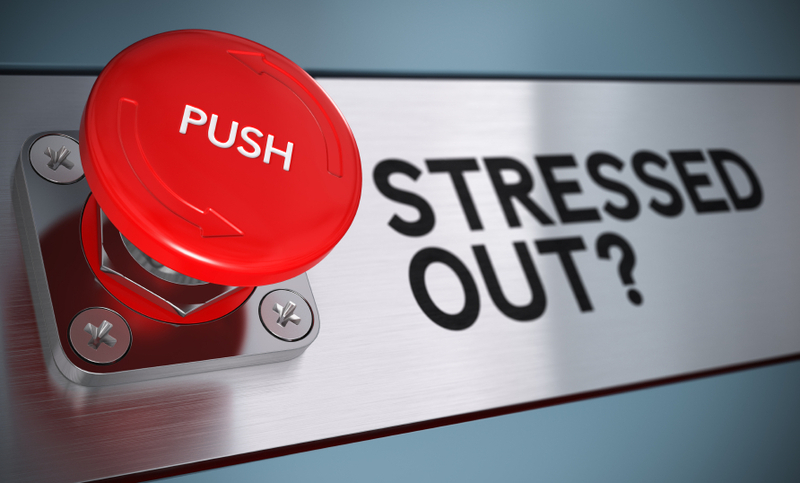 Here are some ideas on how you can make stress work for you. Boss made you mad? Kids driving you nuts? No problem, you’ve got this. Hold plank for thirty seconds, do 5 push ups, break and do two more sets. Can’t hold plank for 30 seconds, yet, hold for 10, but push yourself, that’s key. You’ll be able to hold plank for 1 minute before you know it. Run in place for 30 seconds, do 10 jumping jacks, walk in place for 20 seconds, do that three more times. Jumping jacks are always fun. It’s hard not to smile when you do them. If the kids are with you, make them do jumping jacks, too! Get in a deep sumo squat position, toes slightly turned out, knees above the ankles and behind the toes, bottom drops down to almost knee height, do 30 little pulses, think more down than up, stand up, do three more sets. If you’re in a meeting or a situation that you can’t bust out some exercise moves, then BREATHE. Breathing does amazing things for your mind and body. Breathe in slowly for 3 counts and out slowly for 3 counts for 30 seconds. Give it a try, it will do great things for you anytime, anywhere. If you’ve got to eat something, have an apple, pear, celery or jicama slices handy. Keep clean and ready to eat crunchy snacks within reach and you will avoid the convenience of grabbing something in a wrapper. When you’re opening plastic to eat, that’s a bad sign. Let me know if these stress-busters help you. We’re living in fast times and we get so caught up in the stress, we forget that whatever is making us angry in a moment isn’t important. What is important is letting it go and focusing on caring for ourselves. Make yourself your number one priority, everyone and everything around you will be better when you’re taking better care of yourself. Harness that stress, make it work for you! Next postGMO Corn – Are you eating it? Here are some great ideas from Nexus Body Systems to help with stressful situations that I’m going to have to try over the next few weeks and report back with what works for me. GMO Corn – Are you eating it?